The 2013 Scripting Games Are Coming! The 2013 Scripting Games are coming up very quickly (April 25nd, to be exact) and things are a little different than last year. 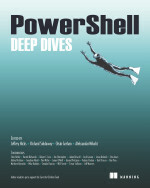 This year the competition is being hosted by PowerShell.org instead of by Microsoft\Hey, Scripting Guy! and the scripts will be uploaded to a different site instead of poshcode.org. The judging has also changed to be more community minded versus just the judges voting on what we believe is the best script. The judges still decide what we think are the best and worst scripts in each category and are now going to blog about said scripts to say what we felt could have changed or why this was the top script in our own opinion. Lastly, there are a panel of celebrity judges who will take our picks and make a decisive pick for 1st, 2nd and 3rd place overall. Instead of 10 events to work through in a 2 week timespan, there will be only 6 events with a week to write the script followed by another week to allow the community to vote on the scripts. As mentioned earlier, I am a judge again this year (my second year doing so) and definitely look forward to seeing what everyone does during this years competition! This entry was posted in 2013 Scripting Games Judges Notes, News, powershell, Scripting Games 2013 and tagged Powershell, scripting games 2013. Bookmark the permalink.